Do they do 5ks in Warsaw? Just finished Pat’s Run!!! 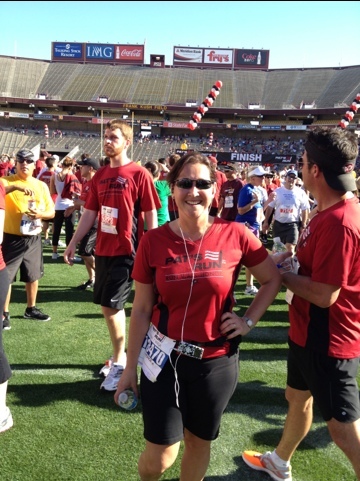 What an exciting race honoring the late Pat Tillman #42 on the ASU football team and the Arizona Cardinals. It is a benefit for military family scholars. Me and 28,000 runners ran in the broiling Arizona heat 4.2 miles finishing up at Sun Devil Stadium on the 42 yard line. So what my thoughts are at the moment… still on my runners high… is… do they run 5ks and 10ks in Warsaw? How fun would that be to hear the Polish national anthem then people counting down in Polish! After the race would they serve Polish hotdogs? Pierogies? Fun thoughts. I came up on your post because I was looking for the same inforation. I just finished a 5k this morning and thought how cool to do a bunch in Poland. I’ll let you know what I find and please post anything you find (not Polish, but learned Polish in the army and have visited twice and loved it.) Poland is a great country to visit, whether you are Polish or not.